This morning I’m joining Lisa-Jo and some of the bravest writers on the web to write freely for five minutes: no editing, no overthinking. Then we all gather at Lisa-Jo’s place (or today, the (in)courage site) to share our words and our love. Want to play? Go here for all the details: http://www.incourage.me/2013/08/a-five-minute-friday-free-write-on-the-word-worship.html. If you had asked me 10 years ago what worship was, I would have given you the classic answers involving church, music, and a congregation coming together to sing the old hymns. I might have even expanded that definition to include gazing at the ocean in wonder, or marveling at the exquisiteness that is a newborn baby. I thought that there was a certain time, or place, or set of circumstances needed for worship to take place. If you had told me that the things I did all day as a Mama could be worship, I probably would have laughed in your face. And yet, with the years comes wisdom (sometimes, at least) and a subtle change in the way I view my life. What if we considered all those “little” things we do in the course of our daily lives as worship? I think they are, if we are approaching them that way. If you incline your heart toward worship, they are. I love the word picture I get when I think about inclining my heart toward worshiping our Heavenly Father. Bowing down, leaning into Him, every day as I go about my business. Keeping my eyes on Him and considering every decision in light of eternity. All those endless nights desperately trying to comfort a crying baby? Worship. Sitting in the car line? Worship. Driving the Mom taxi. Packing lunch after lunch after lunch. Washing the dishes again. Cooling the fever. Helping with homework. Reading stories. You name it. It’s all worship, when it’s done with the right heart attitude. Look at that sweet little face! Couldn’t you just eat her up? She’s deep in thought and concentrating hard. That’s because she’s holding Nana’s iPhone in her hand and taking pictures of herself and she’s trying to decide which is her best side. For the record, according to Nana, it’s all of them. I have three daughters, and the oldest one has seen fit to give me this new name of Nana. I love my little granddaughter more than I thought possible, and what they say about grandchildren being a reward for letting your children live? It’s totally true! And although I didn’t/don’t spoil my kids too much as they grow up, there’s something about this adorable cherub that makes me want to give her whatever she wants. Within reason, of course. What most likely happened just before this picture was taken: She was fussy or bored and saw me looking at my phone. 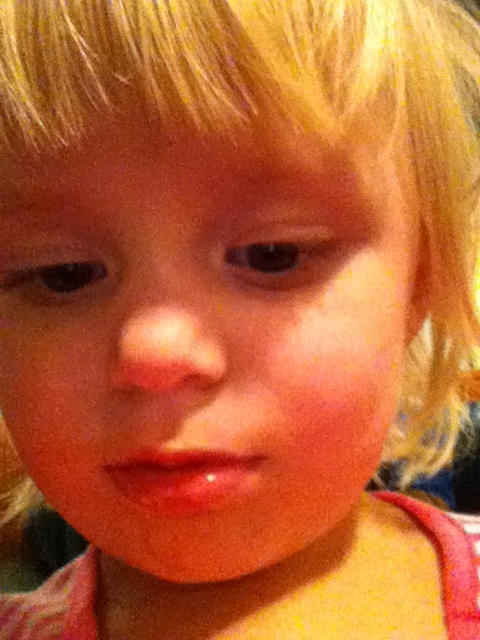 She then wanted to play with my phone, so I simply handed it to her. No doubt my daughter (her mother) rolled her eyes watching the scene play out. I don’t even have to open the camera app for baby girl – she can do it herself, but I do have to flip the camera to face her so instead of random floor pictures I get these little gems. Every so often I go through the pictures on my phone and delete the ones I don’t want to keep, but I always keep some of these on the phone. See, this amazing baby girl lives seven hours away from me and I don’t get to see her nearly as often as I’d like. So I keep the “selfies” she takes with my phone’s camera as a reminder of that piece of my heart that’s out there walking around, hundreds of miles from me, and I count the days til I can see her again. It’s never soon enough. Today I’m linking up with the crew over at http://www.crystalstine.me for Behind the Scenes, where we tell the stories behind all those Pin-worthy images. Come on over and join us! Allume is my first ever blog conference and I can hardly wait to meet all my online friends face to face! It’s only been recently that I started to consider myself a “real” blogger/writer and therefore “worthy” to attend Allume. But before I go, let me share some information about myself that the other attendees and my roommates might need to know. Fair warning, you might say. 1) Attention roomies: my husband says I snore. I’ve never heard it myself so I think he’s just making that up. But I’m bringing enough earplugs to share (new ones, of course), just in case, because I’m a very light sleeper. Seems like if that snoring thing were really true, I’d wake myself up, right? So unless you want me bringing a box fan to run all night for the white noise, earplugs are a must for me. 2) I’m not a big hugger. At least I say I’m not. I seem to tolerate them pretty well. Maybe I just don’t hug first due to some underlying fear of rejection. I mean, what if I go in for a hug and the other person sticks out their hand for me to shake? I’ve noticed more and more lately that I’m the hugger and not always just the huggee so maybe I’m slowly getting over that hug aversion thing. 3) I like my coffee very light and very sweet. If you have a problem with sugar, you’d best not watch me fix my coffee in the morning. I won’t even get coffee at McDonald’s any more because they ask you how many creamers and sugars you want and I’m too embarrassed to tell them how many I really want. 5) …I am not a pretty crier. You know the girl who looks all serene while a single tear slips daintily down her cheek? That is so not me. 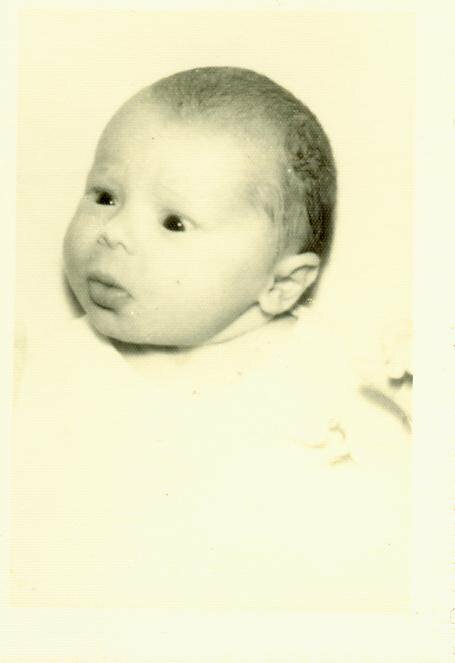 Red and blotchy face, runny nose, squinchy eyes – that’s me. Maybe that’s why I don’t cry very often. And if you try to comfort me it’s just going to make me cry harder, so don’t be alarmed. It’s not you, it’s me. Really. 9) My memory for insane amounts of trivial information (and song lyrics!) is unbounded. My memory for names? Not so much. Please don’t be offended if you approach me and I appear not to know who you are. Again, it’s not you, it’s most definitely me. I think my attendance at Allume this year is God-ordained, and yours is too. The circumstances that led to me actually buying that ticket back in the spring were too well orchestrated for it to be anything but God’s design. And if He’s sending me there and He’s sending you there too, maybe it’s because we need to meet each other. Maybe we need to hear each other’s stories. Can’t wait to meet you! It’s that time of the week again, the best time of the week, when writers near and far join up on Lisa-Jo’s website and share our words without fear. And then, the best part: we travel around the web leaving love in our wake. Want to play along? Go here: http://www.lisajobaker.com. Today’s word: Last. Here we go! We thought we had our last child long before we actually did. Two pregnancies that ended long, long before their time. The first one we thought was an anomaly, and the doctors assured us that it probably wouldn’t happen again. “Probably”, because who can really be sure? It amuses me that even those well-educated medical professionals can’t truly make a lot of promises concerning pregnancy, because there is so little we humans can control. But the last time I was pregnant I was sure all would be fine. Even though I dreaded going to the bathroom because I feared seeing some signal that this one would end like the one before. Even though I was scared, I tried to convince myself that it would all be OK. Except it wasn’t. There came the day when I went in for a routine ultrasound and was told that there would be no baby this time. And days of waiting for nature to take its course. And then the day that I had to check in at a cold, antiseptic outpatient surgery center for a procedure that I don’t allow myself to think about much because it’s just too heartbreaking. And as it turns out, although I didn’t know it then, that was the very last time I would be pregnant. But it wasn’t our last child, because God had another plan for us. And in His infinite wisdom and His time, we met the baby girl who was and is the perfect fit for our family. When she was placed in my arms for the first time, I felt another piece of the puzzle slide into place. 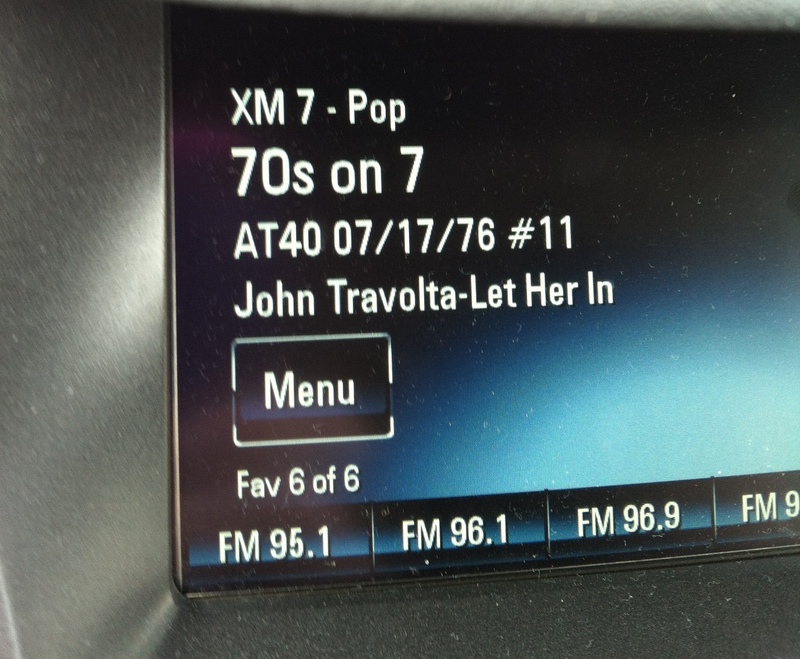 All right, let’s see a quick show of hands – who knew that John Travolta recorded a single a couple of years before the “Grease” soundtrack? Anybody? I snapped this picture last month during a road trip to Wisconsin. That’s 15 hours each way, in case you want to know. We rented a car and the rental had XM satellite radio, so during the time our youngsters were doing other things and therefore did not notice that it wasn’t on Radio Disney, my husband and I had fun flipping through the stations. Due to our (small) age difference, he preferred the 80s channel (and Hair Bands! Seriously? ), while I loved listening to the 70s channel (and Love Songs!) and strolling down memory lane. My stepsister had this particular John Travolta single and we played it over and over (and over and over). As with most of the other singles she or I owned, I knew every note, every word, every nuance of this song, so I recognized it as soon as it came on. When I was young, one of my main sources of entertainment was the radio. On Saturday mornings I’d listen to American Top 40 and actually write down the name and artist of every song. I loved to stick a blank cassette in my little tape recorder and try to record my favorite songs when they came on. I used multicolored markers to write song lyrics on notebook paper and post them on my bedroom wall. I sang to myself while sitting outside on the swing. I imagined myself in the songs, as the writer or the subject, and took them to heart. Even as a child in the elementary years, the music stirred something deep inside me. Today I can still be moved by music – the right combination of words and melodies is simply exquisite to me. And despite the fact that some days I can’t find my car keys, I knew every. Single. Word. of that song. Today I’m linking up with the wildly fun crowd at http://www.crystalstine.me, where we tell you the stories you can’t see in the pictures. Come on over and join us! It’s Friday, the day when I join up with some amazing writer-friends to write like we’re kids again – freely and without overanalyzing. Want to play along? Go to http://www.lisajobaker.com for all the details. This world is so big it can make us feel really, really small. How could my one corner of the world possibly affect anyone else? How is what I’m doing important in any way? Why bother? Do you ever hear those words murmuring in the corners of your mind? I do. And yet. I see how it matters to one child that I cut the crusts off her sandwich at lunchtime. And I see how it matters to another that I look, really look, when she wants to show me a new trick. The small things matter. They show we care. I think about how a stone is so small, but when I throw it into the lake, there are countless ripples to mark its entry point. It doesn’t look like it would matter but looks can be deceiving and there is someone out there who wants us to be deceived into thinking WE don’t matter, our words don’t matter, our stories don’t matter. We throw our words out into the world and we don’t always see the ripples but they’re there. It’s my birthday! No, really. It is. See that new little face up there? She looks a bit surprised, doesn’t she? I don’t think I’ve ever quite been able to shake that wide-eyed surprise about the some of the places and situations I find myself in. Last year for my birthday, I gave myself this very blog as a gift, so in addition to it being my birthday, it’s my blogiversary! The usual thing to do on a blogiversary is to host a giveaway, but I’m on vacation and unprepared for that, so maybe I can do it in a couple of weeks. Don’t give up on me. I may get there yet. I never thought I was the kind who would be vain about aging but it’s becoming quite clear that I am. I have a birthday coming up exactly twelve months from today that carries a pretty significant number with it. I can’t even say it out loud right now, that’s how much I dread it. It makes me feel old. So I’ve decided to have a little fun with the last year of my 40’s (yes, I said it, so now you know how old I really am today), otherwise I may spend an entire year dreading my next birthday. Recently I realized just how much time I’ve spent over my lifetime saying, “I’d like to do that someday” or worse, “I’ve never tried that.” The world is full of rich and varied experiences, so this year I’m going to do some of those things I’ve been putting off. Because as you know, we’re not promised tomorrow. My biological father died the day after he reached that milestone birthday and while I don’t think that’s likely to happen to me because my health is decidedly better than his was, I’m all too aware of the fleeting nature of this life. I had this brilliant idea that it would be fun to try 12 new things in the 12 months between this birthday and that horrifying (mid-century) next one. I’m calling it my “12 in 12”. Don’t get too excited – I’m not going skydiving or bungee jumping, but I am choosing a few things that require me to get outside my comfort zone. I’m hoping that going outside of my “safe” zone for these fun things might inspire me to stretch my wings in some other ways as well. Some of my 12 in 12 activities are kind of cheesy, and some are so elementary you might have trouble believing it’s something I’ve never done before, but trust me – they’re all new to me. Sushi? Never tried it because I don’t like seafood. Sing karaoke in public? Nope. Read a book by Jane Austen? No, and that’s kind of embarrassing because I’m such a voracious reader. How did I miss out on her?? You are invited to follow along on my 12 in 12 journey because I’ll be blogging here once a month about my experiences. And just in case there is anyone else still out there who has missed out on some of the same things, I’ll let you know if it’s all it’s cracked up to be. Some of the 12 are already planned (first time at a blogging conference – Allume conference in October), some I’ll pick off my list (yes, I have a list), some include family or friends, some are just for me. Sometimes I may ask for input before I choose my new experience for the month. So stay tuned for my first adventure in September! I think I know what I want to do, but I haven’t made a firm decision yet.